The first of four insightful articles details agriculture and crop research issues in the United States today. One point the author highlights is that warmer temperatures, which are the most reliable feature of climate change, can extend the growing season, but also impairs plant productivity. The author explains this point further: “Persistent heat stress pushes plant metabolism to the edge of toleration.” The author also states that vital research is taking place to adapt crop cultural practices in order to avoid heat stress. The second piece draws our attention to the fascinating global research taking place on drought, including the vital role of satellite imagery in the field. We find out that drought is something we all recognise, evident in the dull green vegetation or the pallor of dust-filled skies, for example. Instances of drought are highlighted, such as in Sub-Saharan Africa where it affects the core food supply, leading to both rural exodus and civil unrest. In Northwest India, we learn that drought amplifies the frequency of heat-related deaths. This second piece leaves us to ponder that while earth scientists recognise the tools at their disposal to identify and quantify drought, are we prepared as a global society to mitigate the effects of drought? The third piece underlines Prof Robert Aiken’s fascinating research into water and temperature, including the extent to which they limit crop productivity. One of the insights given here concerns the authors own research in the semi-arid region of Kansas, which he studies with interest and notes that water and temperature frequently limit crop productivity. We also discover that the Standardized Precipitation-Evapotranspiration Indicator (SPEI) provides a metric for wetting and drying conditions, normally between the values of -4 and 4. Finally, we are left with a thought-provoking comment piece about the creeping trends of climate change. 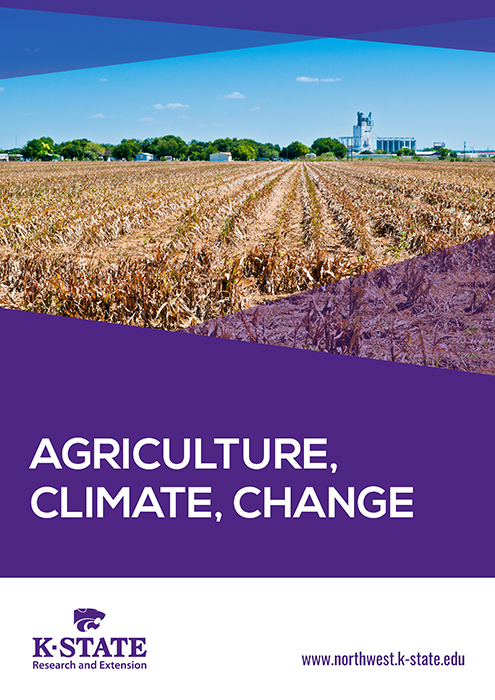 The author tells us that while we may not notice climate change, the farmers he serves in the semi-arid U.S. Central High Plains encounter dramatic year-to-year fluctuations in weather patterns, which tend to overwhelm the long-term trends. The author asks if there is an opportunity to increase crop productivity, given limited and untimely water supply – he reveals that his thinking falls along two lines: “Improving crop water productivity and increasing stress tolerance of critical processes such as ovule fertilisation by pollen.” He leaves us with a challenging thought, that sustaining an increased crop productivity to provide global food security will require innovation, collaboration and vision in the future.